Do you want to make the most of your event? Bizzabo’s new platform wants to help with that. 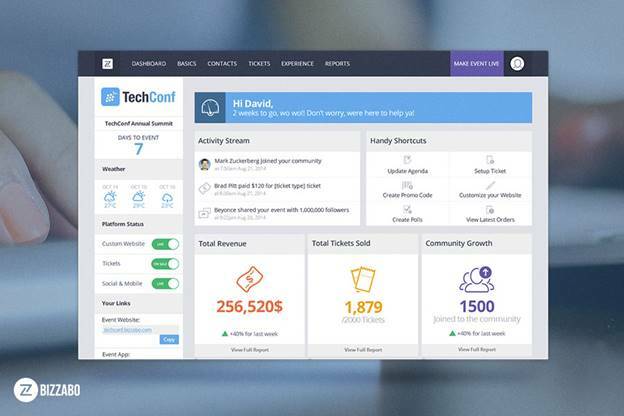 Launched today, the Event Success Platform allows users to plan, execute and track their events from start to finish in one place. Bizzabo claims this is the first all-encompassing tool of its kind and aims to rid organisers of the hassle that goes with employing several different tools for running their events. Using the platform, organizers are able to sell tickets, launch an event app, initiate email marketing campaigns and build networking communities. As well as organizing the event, you can use it to track performance using real-time analytics or quickly check how you’re doing against goals on your ‘Success Dashboard’. Building on the original Bizzabo networking and mobile platform launched in 2012, the new integrated event management system seems like an organic expansion for the company that could allow it to grow in new markets. The Bizzabo Event Success Platform is available online and across iOS and Android devices.